Wanna own a New York City landmark? 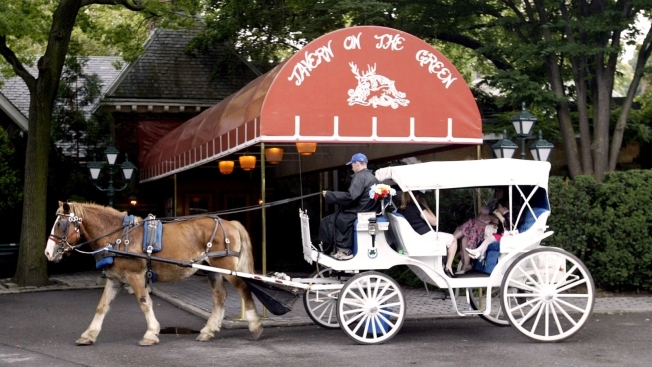 Potential bidders to take over the iconic Central Park restaurant, Tavern on the Green, attended a Q&A session Thursday at the headquarters of the Parks Department. More than 60 representatives of potential bidders were on hand , the New York Times reported. A surprise visitor was Ti Adelaide Martin, the co-proprietor, with Lally Brennan, of the high-end New Orlean’s eatery Commander’s Palace. "We’re seriously looking at it because we think it could be a heck of a good fit,” Ms. Martin told the Times. “We’re getting the lay of the land here and would like to be a part of it, if we can work it out." Others attending the session included representatives of the Trump Organization, the Cipriani family, the Central Park Boathouse, Danny Meyer’s Union Square Hospitality Group, Capitale restaurant, Sean Driscoll of Glorious Food, David Liederman of the DJ Restaurant Group and Alan Stillman of Smith & Wollensky restaurants, the Times said. In February the Department of Parks and Recreation put out a formal request for bidders to take over the Tavern’s 25-year license, which will expire on Dec. 31. The bidders have until May 1 to submit their proposals and their $50,000 bid deposits to the city. The department said it hoped to decide on a winner by July 1. One of the drawbacks -- the city does not have the authority to pass along the name Tavern on the Green. The restaurant’s name has been owned by the LeRoy family since the restaurateur Warner LeRoy, who died in 2001, took over the Tavern’s license in 1973, the Times reported.